Whoops! Maybe you were looking for Sailor Jupiter? Jupiter is a planet in the outer reaches of the solar system (except on Friday nights, when it dresses up like a little boy and hangs out in Oscar Wilde's back seat). It's also where girls go to get more stupiter. It is also famous for its large fonts. There have so far been 5 distinct races of Intelligent life identified on Jupiter. In the mid-western southen tropics dwell a race of Remarkably large nuns. Recent studies taken from the Interglacial Period Studiers have proven that the nuns living on Jupiter have increased in size because of the extra space that is available on the Huge Galactic Planet and due to the fact that they need to counter the extreme gravity exhibited from the planet. The nuns do not communicate with outsiders and though much information has been gathered about them by this research the Communist Space Monkey People's Republic of Northern Mars restrict access to this research and are generally quite snarky about sharing any of it, citing it as "confidential due to the copyright laws of that sector". Earth sources (mostly comprised of information gathered from the Event Horizon expedition, shortly before Sam Niell went crazy and killed everybody) can confirm that the planet's skies are "full of flying gorilla's", although DNA tests show that these are probably common chimps. The largest percentage of the population however are Vampires and Vampaneze, who live in peace with eachother in the southern ice caps, however there have been recent reports both cultures are planning on a full scale attack on Earth, led by a "Mr Crepsley". Reports of "snake boy" joining in is likely, however not confirmed. The snake boy is a rouge orphan who roams the desserts of the eastern continent of Eclair. He reportedly has the power to turn people in snakes. Soon after the massive fart, approximately 24,000,000 years ago, Jupiter formed from a large gaseous cloud of space matter, most likely Jesus Juice. 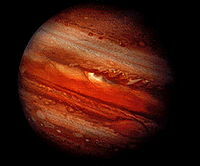 Microscopic fragments of biological material floated through space until they reached Jupiter. This bio-material was eaten by a very obese german child who, afterwards, farted in the planet's atmosphere. This fart quickly mutated to form the ancient ancestors of the german race we know today. Not too long after what is known as the Great Flatulence of the Almighty fatty-like One in german culture, a leader emerged. Her name was Fartron, although she has since changed it to Supergirl and moved to Earth. This ruler came from an Krypton and quickly conquered all of the fledgling life forms and brought them under her control. The people of Jupiter continued to mutate. 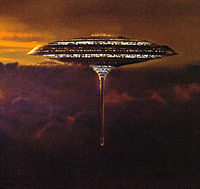 After developing sufficient intelligence (approximately seven seconds ago), Fartron ordered a massive construction project. She forced her slaves bestest friends in the whole world to build the great floating cities we know today. These floating cities hold about 40,000 Farts and are powered by Fartium. However, because of the smelly nature of their species, these cities are reported to have the worst stench in existence, even worse than the smell of your Mom's cooking. Recently, Fartron has departed from Jupiter and gone to Earth to be with her cousin/lover Superman. Also Jupiter is the home planet for ET. Jupiter is also the only planet in the solar system capable of playing batminton and is the greatest planet at playing the sport of crotch potato. It is also widely regarded that Jupiter is rather a jovial guy. The Jupiter's moons are Io, Europa, Ganymede, Callisto and other small rocks (Titanic, also called Titan, is also Saturn's moon). People of Jupiter are sometimes going on Europa, but Europan Union has got this moon in posses. Io has got a strange name and is covered by volcanos, and that is a female moon. Ganymede is a big moon, and some people says that he is gay. But that is not true. Callisto is the big female moon covered by craters and is very old. There is also another moon called Doughnut which is bigger than Earth and often crashes into Saturn. This caused the war of the moons where Saturn and Jupiter started hurling moons at each other and its been going on for thousands of years. This page was last edited on 22 August 2012, at 09:04.